We recommend having your heating and cooling system inspected regularly to help identify any possible problems before a component fails. 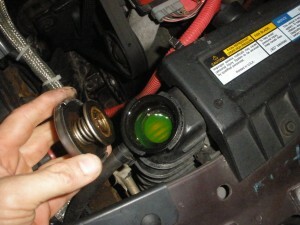 Parts such as the radiator, hoses, cooling fans, water pumps and thermostat can wear out or begin to develop leaks. Bring your car or truck into our Streetsboro Ohio Service Center to have one of our expert technicians inspect your entire heating and cooling system to make sure there are no problems. Jimyz Automotive Repair Shop for Cars and Light Trucks in Streetsboro Ohio, is located directly across the street from the New Streetsboro High School on Rt.-14. Jimyz proudly serves Akron, Aurora, Cuyahoga Falls, Garrettsville, Hiram, Hudson, Kent, Mantua, Portage County, Ravenna, Streetsboro, Twinsburg and surrounding communities.